As dedicated parents, loving aunts and uncles, or just people who keep buying Halloween candy even though very few children actually trick or treat from door-to-door anymore, we’ve all got too much candy this October. Fortunately for everyone, we have some ideas for enjoying it alongside a delicious cocktail or two. In previous years, we were unkind to candy corn and those awful, waxy pumpkins. We used to recommend sweeping them into the trash, but times have changed. We hope you’ll view this awful, vile candy not as garbage, but rather like a beautiful, inedible garnish—it’s a chance to decorate your drinks in a festive, seasonally appropriate way without ever actually consuming them. So while you may see candy corn or those terrible pumpkins featured in our photography, at no point do we advocate the consumption of these substandard wax candies. They’re merely suggestive of the season, and under no circumstance should they be ingested. 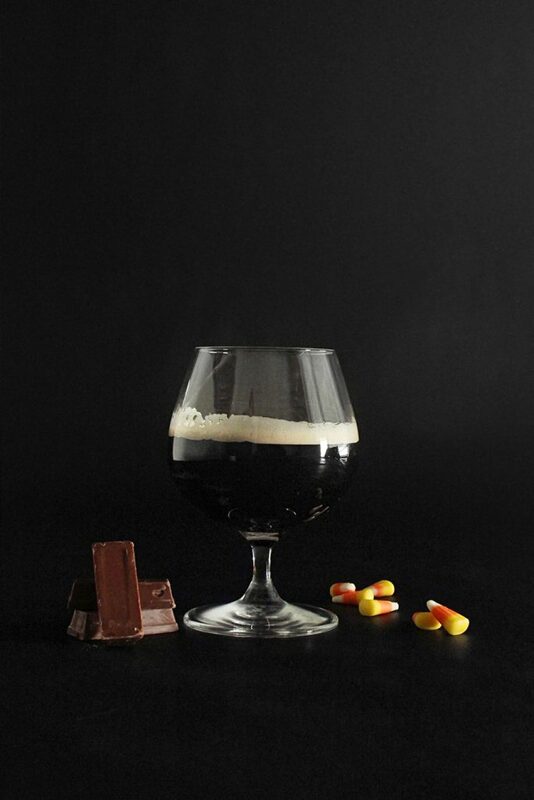 This coffee and stout based cocktail is rich without being overly sweet, and the coffee flavors play very nicely with the malty, chocolate notes of the candy bar. This particular pairing was an easy favorite for most of our team. Shake Angel’s Envy, cold brew and simple syrup with ice for 10 seconds to combine and chill. Strain into chilled Snifter already containing the 4 parts of stout. The delicate flavors of the peach tea and the sour tang of blackberries make this an easy drink to sip on. 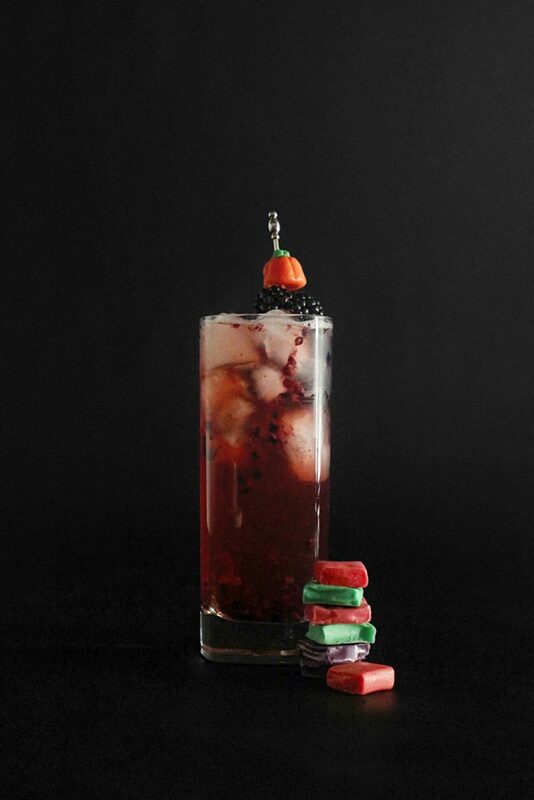 The lingering sweetness of fruit chews doesn’t overpower the drink, but rather, brings the bourbon front and center. Muddle 2 to 4 blackberries in shaker. Add ice, whiskey and St. Germain. Shake and pour (don’t strain) into highball glass. Top with peach iced tea. What more can we say about the Manhattan; it’s a perfect classic cocktail. Luckily, peanut butter crisp candy bars are an excellent accompaniment to the robust notes of the drink. 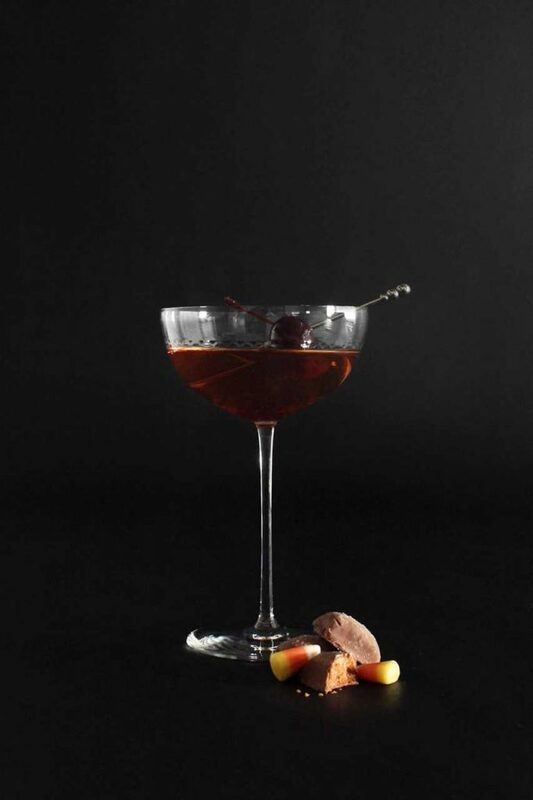 The salty, sweet chocolate and peanut butter flavors enhance the essential flavors of the Manhattan, making this an excellent pairing after a long night of sugared-up children. Pour all ingredients into a mixing glass filled with ice cubes. Stir well. Strain into the chilled cocktail glass. Garnish with a cherry. Maybe it was a cold night spent hiking from door to door with your children, and maybe you need a hot drink to drive the chill from your bones. Also, maybe you’ve got some hard lemon candies just laying around? 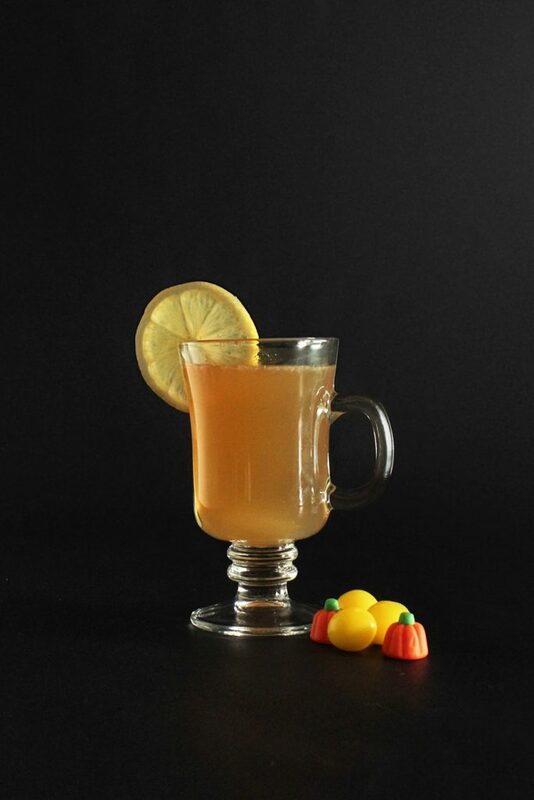 May we recommend our classic hot toddy recipe. It’s the perfect complement to lemon candies. Combine the first four ingredients into the bottom of a mug. Garnish with lemon or a cinnamon stick. Here’s a simple, three ingredient mule that’s simple to make and even easier to enjoy. Plus, you probably have some suckers lying around—the kind that conceal a different kind of candy. 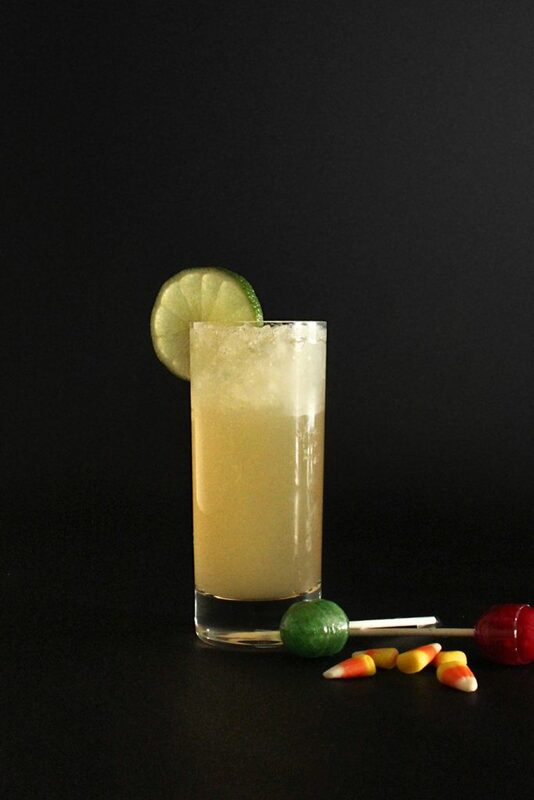 A good Kentucky mule has enough bite to stand up against the candy sweetness of any of the suckers, making for an wonderful pairing with minimum effort. Shake lime juice and Angel’s Envy. Pour over ice in a tall rocks glass and top off with ginger beer. Garnish with lime.